So rarely do we see pics of Kate when she was the nymph she became known for. There's something about these photos that is so mystical and nostalgic, don't you think? I'm going to be honest with you Hèlèn, I don't know ANYTHING about my RSS followers - I don't even know what RSS stands for! How do I acces them? Is RSS the whole Bloglovin' thing? I feel awful now for not knowing they exist! i love older kate moss photos. so mysteriously beautiful. 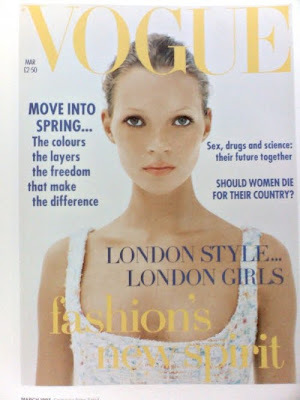 thanks for posting all these fantastic photos of kate moss! Stunning. She is the most beautiful person on earth! Oh, la Moss at the very morning of her career! Such a beauty! That photo with the Christmas decorations? Is pure gold, I so love it ever since I first laid eyes on, so maaany years ago! Anyway, how's Paris, cherie? You seem to really enjoy it!